In about 1960 Sam Jones built a “small” house (smaller than Berkley Castle which sits across the street) on Silver Lake harbor. 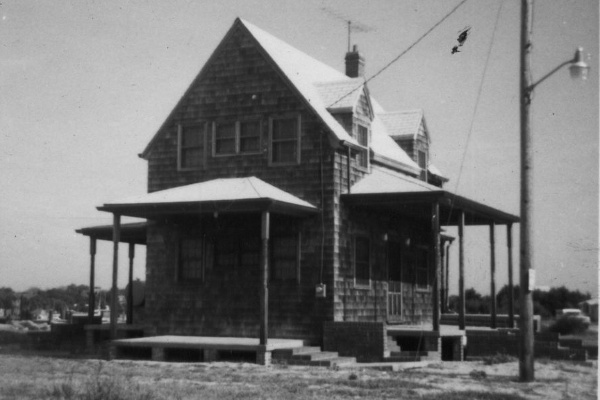 Like his other buildings on Ocracoke, the Whittler’s Club, as it was called, was covered in cedar shakes. Sam’s vision was that it would become the gathering place for island men, a place where they could sit on the porch, swap stories, and whittle birds to sell to island visitors. Today, this building has been expanded and serves as a rental house.